Customer demographics in the men’s personal care industry vary greatly by product category. Consumption of consumables like deodorant and shaving cream is consistent across age groups.3 The 15-34 age bracket however, purchases the widest range of products and is most devoted to grooming measures. They consider this to be standard procedure.4 Further contributing to this appearance conscious phenomenon is the recent surge of young men’s lifestyle magazines. Periodicals like Maxim and FHM regularly feature grooming articles and stress their necessity to remain desirable and attractive in the dating market. 1 Howard, Theresa. “Internet ads have close shave.” USA Today. May 30, 2006. 2 Alexander, Antoinette. 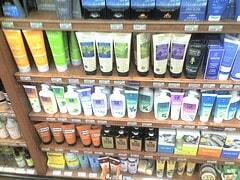 “Manufacturers see new face of beauty in burgeoning men’s grooming category.” Drug Store News. New York: Mar 20, 2006. Vol.28, Iss. 4; pg. 40, 1 pgs. 3 Grimm, Matthew. “You’ve Come A Long Way, Buddy – health and beauty aids producers are focusing more on male customers.” American Demographics. March 1, 2003. 4 Alexander, Antoinette. “Media, Euro influence drive growth, help men’s grooming carve solid niche.” Drug Store News. Sept. 25, 2004. 5 “Looks can kill your career.” USA Today (Society for the Advancement of Education). Sept, 2002. 6 http://www.condenastmediakit.com/ Contains readership profiles for publications. 7 Van Arnum, Patricia. “P&G-Gillette deal targets men’s grooming.” Chemical Market Reporter. New York: May 9-May 15, 2005. Vol.267, Iss. 19; pg. 22, 1 pgs. 8 Prior, Molly. “Men’s grooming moves from metrosexual to average Joe – Beauty Care.” Drug Store News. March 1, 2004. 9 Pitman, Simon. “Pro-Line launches first hair care line for African-American men.” CosmeticsDesign.com Products & Markets. Dec 7, 2005. 10 Alexander, Antoinette. “Growing ethnic men’s grooming category offers diverse new opportunities to retailers.” Drug Store News. New York: Mar 20, 2006. Vol.28, Iss. 4; pg. 40. 11 “’Metrosexuals’ Drive Growth in Personal Care Products; ACNielsen Study Finds New Male Grooming Habits Spur Category Sales; Older Populations Demanding.” Business Wire. June 22, 2004. 12 Jackson, Cheryl. “More men go to a game face.” Chicago Sun-Times, Jun 30, 2005. 13 Peter Rubin. “Man Stands at a New Frontier: Vanishing Cream.” New York Times. New York, N.Y.: May 5, 2005. p. G.3. 14 Alexander, Antoinette. “Behind today’s men’s grooming trend is a demanding woman.” Drug Store News. June 26, 2006. 15 “Metrosexuals Are a Rare Species: Shopzilla Survey Reveals Men Need Grooming Guidance.” Business Wire, May 30, 2006. 16 Walton, A. Scott. “Guy grooming: More men taking the time to ward off effects of aging.” The Atlanta Journal – Constitution. Atlanta, Ga.: Jan 20, 2006. pg. G.1. 17 “Men’s grooming set for five years of steady growth.” PackWire.com Packaging Technologies & Markets. July 26, 2005. 18 “Three-blades still top personal care – Category Report: PBC – razors and other toiletry sales.” Drug Store News. May 19, 2003.